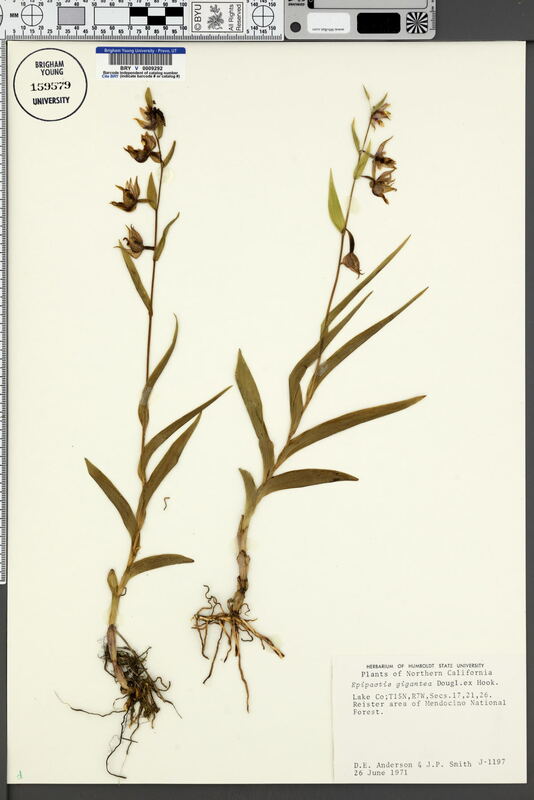 Taxon: Epipactis gigantea Douglas ex Hook. Locality: U.S.A., California, Lake, Reister area of Mendocino National Forest. Verbatim Coordinates: T15N R7W S17,21,26 .